In a perfect world, a product would sell itself. It would be so superb that people would tell all of their friends and family about it, and it would zoom to the top of the sales charts based only on its essential excellence. This can happen to some degree, as people discover a favorite restaurant, a book by an unknown author, a singer that has not been heavily promoted. However, to make it really big, to make a dent in the fragmented market of today’s world, any business or individual will have to crank up the sales and marketing team to get the attention of a public that is thumbing up and down their smartphone screens for a jolt of the new, the exciting, the different, about every three seconds. When we consider some of the truly global brands in the world, the ones that have positioned themselves at the top of the heap of recognizable logos and products, surely McDonald’s must be included, even if we do not want it to be. Yet, McDonald’s did not get to where it is simply by putting toys in meals, slapping thin slabs of beef on buns in record team or even only by creating special sauce. The Golden Arches are known and appreciated worldwide because McDonald’s has one of the most formidable sales and marketing departments in the history of advertising. That branch of McDonald’s has been so innovative and efficient that we take it for granted and fail to notice the brilliance of its efforts over the years. Before delving into some of that advertising expertise, consider the implications for you and/or your business. The portals to the public have never been more wide open. You do not need to get a loan for a large advertising budget to buy television and radio time anymore. You can use social media, for instance, or a viral video or any number of methods to get your name out into the public realm and win a following for your services or products. The lesson from McDonald’s is that no matter how wonderful you think your product is, and no matter how much your wife and best friend like it, you will have sales in single digits until you activate some type of effective marketing campaign and put most of your energy (at least initially) into pushing the product. Think about it: how many ways can you cook a hamburger patty? Product development is surely a slice of the The Golden Arches budget, but without sales and marketing muscle, not even the tastiest Big Mac would have a global audience. Likewise, you can refine your product or service as you sell, but you need to push, push, push to generate cash flow for later improvements. Your first huge block of time should be devoted to sales and marketing. McDonald’s has long known that children are a key to winning a family’s loyalty. 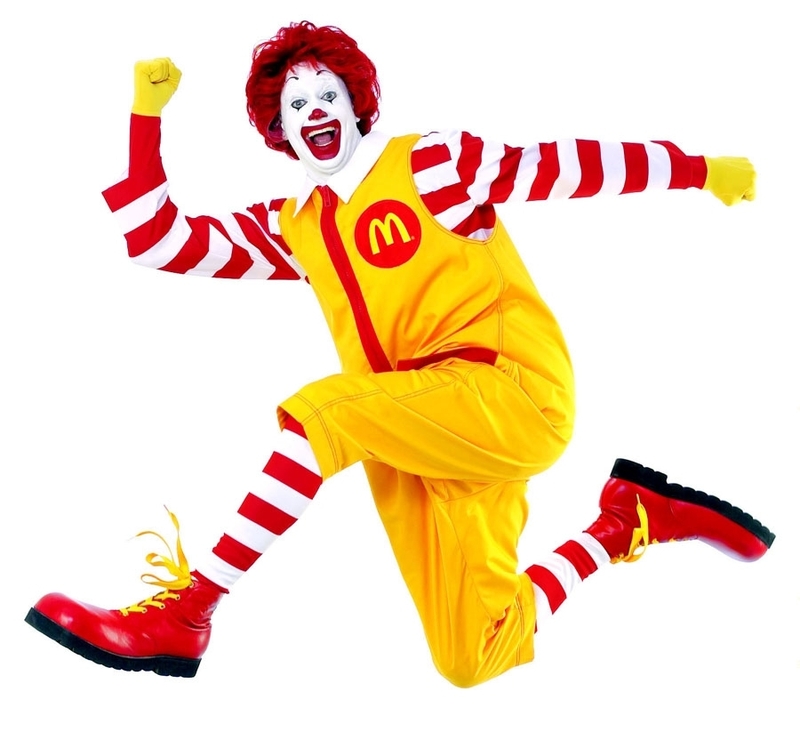 For that reason, they have featured many products that appeal to kids, including the famed Happy Meal. They spend massive dollars on advertising during children’s programming, knowing that little Johnny and Sally will beg their Mom and Dad to take them to The Golden Arches just about every night. McDonald’s has stayed abreast of every technological trend in society. That doesn’t mean that robots make burgers, but it does mean that it offered Wi-Fi in its restaurants very early in the game, and it advertises to the technologically savvy generation constantly, placing French fries in the pattern of a Wi-Fi signal, for instance, among many other insightful ads. In a similar way, McDonald’s is always near the front of the pack when it comes to food and drink trends. It jumped into specialty coffee-making when customers started going to Starbucks for breakfast and slapped salads onto the menu when foodies began to make noise about its offerings. What’s more, McDonald’s has created many forms of attention-grabbing advertising to pedal these new products, from loading coffee beans into glass walls at bus stops to planting carrots in those same walls. McDonald’s advertises globally but markets locally, adapting its sandwiches to local cultures (no pork in the Middle East but lots of flatbread). The lessons for you? Rather than spend another six months in R & D to create the perfect widget, save that money and put most of it into sales and marketing. You can convince even the reluctant buyer to give your widget a try if you blanket the area with innovative marketing thrusts. So was it the great hamburgers or savvy sales and marketing strategies? Thank you, just changed my subscription service to mail chimp, it should work much better now if you would like to subscribe. Thank you!